Find Your Path and Begin Your Journey Today! Discover the traditions and beliefs of this beautiful, naturalistic and spiritual way of life. ‘Wicca: A modern guide for beginners’ will provide you with enlightening, informative and detailed information to help you understand the foundations of Wicca and start practicing. 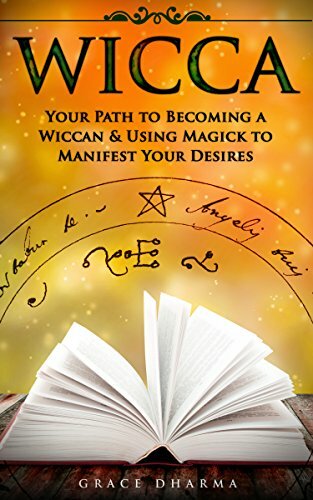 Whether you have a casual interest or a heartfelt desire to become a Wiccan this book is the perfect starting point. It is useful for a beginner and still suitable for a more advanced Wiccan who wishes to expand their knowledge. Learn how to integrate magick and witchcraft into your life. Enhance your natural powers and use magick to manifest your desires. This book is a comprehensive introduction into this ever growing religion and the various elements surrounding it. Begin Your Wiccan Journey Today! Read this book on your PC, Mac, smart phone, tablet or Kindle device.